Update on HB 481:Legalize Recreational Marijuana, Just say NO! The battle continues in the war on legalized marijuana. After the public hearing last Tuesday, February 4th and the open-to-the-public committee work session on Wednesday, February 5th, we continue to be alarmed by the bill itself, its consequences, and the seeming lack of engagement (as evidenced by lack of substantive discussion) from the committee on such a consequential bill. At the time of writing this, there are no upcoming hearings next week for the bill, just a continued work session. You don’t have to be an expert: you can simply say, “I don’t think it’s right for our kids,” or “I think it will put an incredible burden on our already-struggling education, health care, and law enforcement systems” – all of which is true. Cities and Towns in NH: as HB481 is currently written, if a business applies to the newly created NH Cannabis Control Commission, and the municipality in which the business wishes to operate does not already have a statute in place prohibiting retail or cultivation establishments, the municipality will be forced to honor the applications approved by the CCC! Towns and cities will be blind-sided by this legislation! 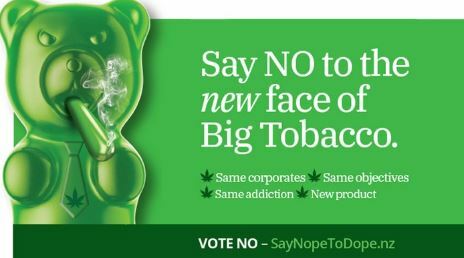 For an in-depth explanation of why legalizing cannabis is a terrible move for NH, please see our counterpart in New Zealand’s Say Nope To Dope briefing on the issue. NZ is going through the same battles and has provided multiple resources and research that all leads to the same conclusion: a law like this will be bad for our communities.